Following the passage of a bill by Congress earlier this year, it will become easier to get a licence to fly drones in U.S. airspace. Expect to see more of these unmanned aircrafts flying overhead by 2015. HuffPost Live host Ahmed Shihab-Eldin held a discussion with experts and community members on the possible impact of the bill. Amie Stepanovich with the Electronic Privacy Information Center in Washington, D.C. forewarned of the effects on Americans' privacy. "There are contracts between the Department of Defense and companies that are developing facial recognition technology in order to put that technology on drones and they talk about identifying dissonance in crowds," she explained. "These contracts are talking about not only being able to identify who you are but collecting the information when you're engaging in this activity in the United States." "It's actually very scary some of the things that drones are going to allow us to do," Stepanovich added. San Francisco local Trevor Timm, an activist at the Electronic Frontier Foundation, discussed the high-tech components of drones that can make in-home surveillance easier. "Not only do these have high tech cameras that can watch people for hours or days at a time but they can also attach infrared cameras to them, heat sensors, facial recognition cameras and even cameras that can eventually see through walls," Timm said. The segment also included Thomas Zajkowski, a remote sensing specialist for the U.S. Forest Service who works with drones. Zajkowski detailed the "rigorous process" the U.S. Forest Service had to go through in order to approve 81 missions over the western U.S., accounting for 120 hours in national air space this year. What do you think about drones flying over U.S. airspace by 2015? Sound off in the comments below. <strong>Type</strong>: Military (U.S.) <strong>Description</strong>: Boeing's stealth Phantom Ray took to the skies for the <a href="http://www.boeing.com/Features/2011/05/bds_phantom_ray_first_flight_05_04_11.html" target="_hplink">first time in April 2011</a>. 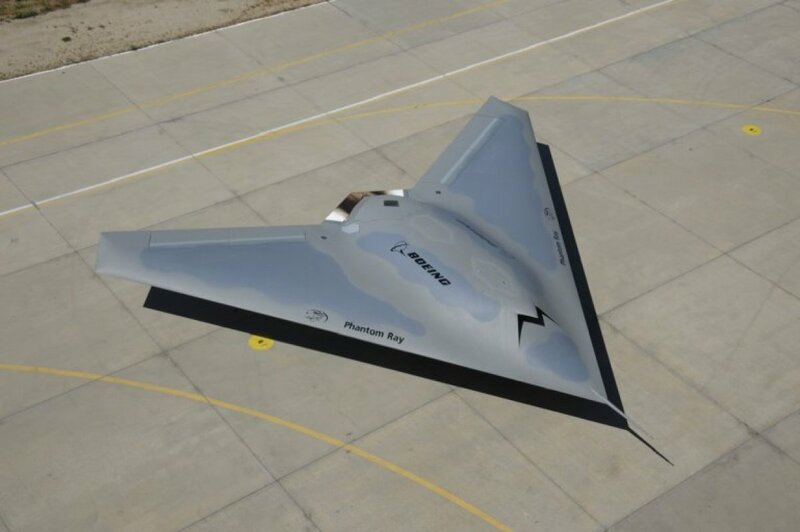 According to Boeing, the <a href="http://www.boeing.com/advertising/bma/unmanned/unmanned_05.html" target="_hplink">Phantom Ray can perform missions</a> such as intelligence, surveillance and reconnaissance, suppression of enemy air defenses, and electronic attack. <strong>Potential Deployment</strong>: Unknown. This is a "demonstrator" so there will likely be a future variation of the Ray.